The Stuttgart horse is back on the track with Puresport. 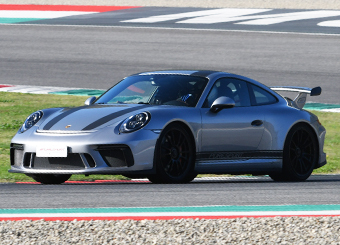 Porsche fanatics have the chance to get behind the wheel of their dream car: the 911GT3!at the Misano World Circuit, one of the few circuits in the world that can proud of hosting both, the Superbike championship and the MotoGP. The Stuttgart horse is back on the track with Puresport. 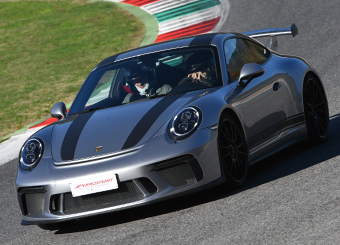 Porsche fanatics have the chance to get behind the wheel of their dream car: the 911GT3! 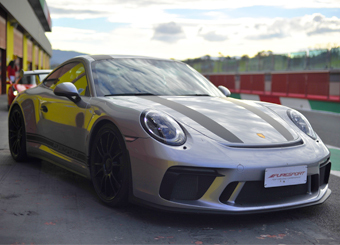 This is the uncompromising car that smells of Nurburgring, the unmistakable Porsche silhoutte in a pure and muscle definition, like its 6-cylinders boxer engine (3996 cc) with 500 hp and 460 Nm that will keep you stuck in your seat everytime you will accelerate up to 8250 rpm of the red line of the rev-counter. All this is available for everyday driving thanks to the technology excellence of its 7-gears PDK gearbox, its Bosch electronic and its traction and stability controls, the enourmous racing derived brake system and also thanks to its balance guaranteed by its specific setup and the aerodynamic contribution of its front splitter and front wing. The racetrack is the best place where to get the maximum from this jewel car with a maximum speed of 318 km/h and an acceleration from 0 to 100 km/h in 3,4 seconds. 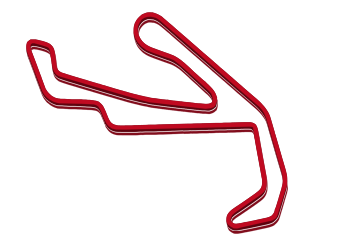 Monza, Imola, Misano, Vallelunga, Adria, Cremona, Vairano, Viterbo...are waiting for you!